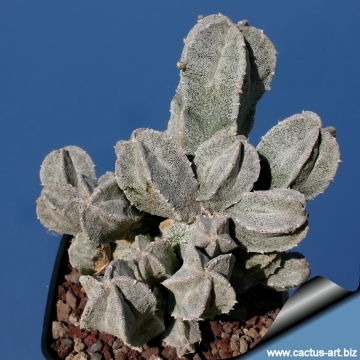 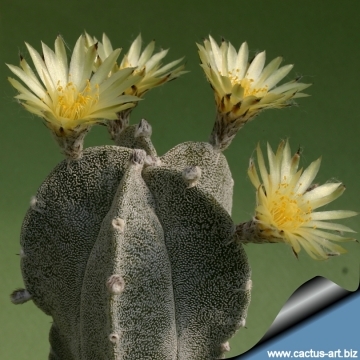 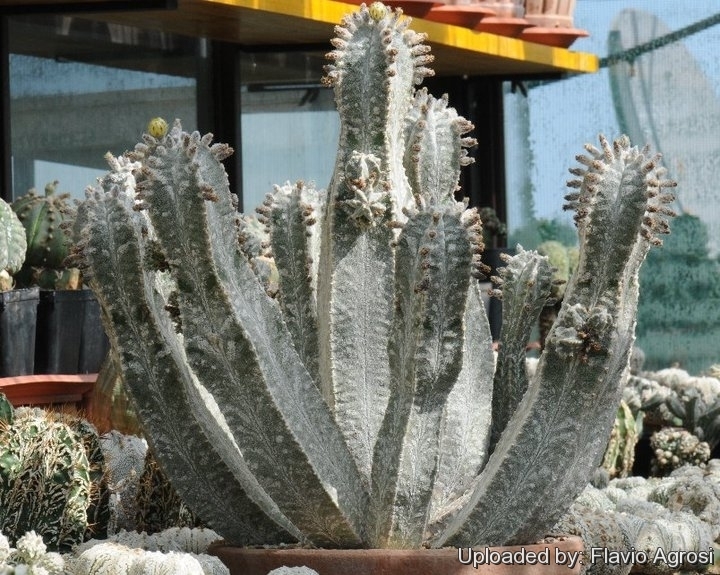 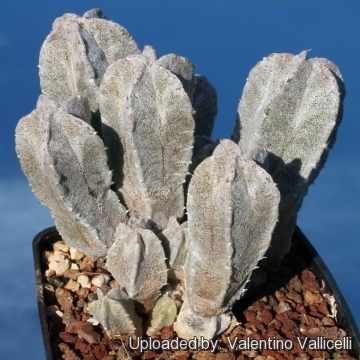 Description: Similarly to the standard Astrophytum coahuilense this cultivar has five ribs covered by dense grey flecks, but stems are thinner and columnar with a tendency to branch from the side areoles and will form soon small clumps. 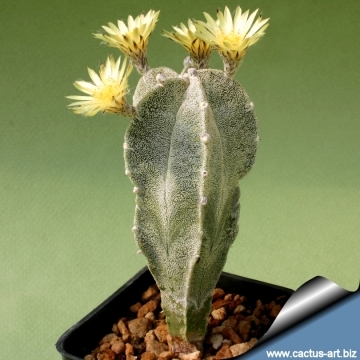 The flowers are very small up to 2,5 cm long, pale yellow without the characteristic red throat. 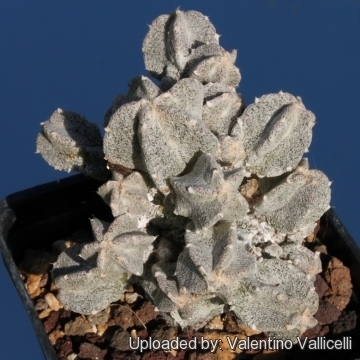 For this unusual characteristics it is thought by some that it could be (perhaps) a cultivar of Astrophytum myriostigma. 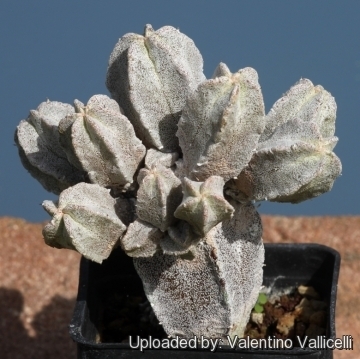 Propagation: By cuttings, but plants are often grafted to accelerate growth as they would generally take at least a five years to reach maturity on their own.